The day has come and gone all too quickly. It was such a sweet moment that I hated to see it end, but end it must….. It was a long day for my husband. The effects that he received from the Vit C IV was waning and his energy level was not quite as good as the few days prior to the Wedding/Renewal. But, nothing or no one would have kept him from having this wonderful celebration. There were tears of joy, tears of remembrance with tears of sorrow of what is most likely our future. The pastor modified the vows to reflect that this was a renewal of vows spoken and kept. Looking into this eyes and seeing his love was priceless. Only I could see those beautiful green eyes. He held my trembling hands and my knees didn’t buckle. I was fine as long as I could grasp his hands. There were no last minute….”OH!!! I forgot.” Or anything that caused me to be concerned. It wouldn’t have matter anyway because nothing was going to keep us from this memory or moment. I felt quite calm and at ease. There were several people who came and it was so good to see them. We had friends that made a 2 hour plus trip and they totally surprised us by coming. They were friends of my husband that span 30 plus years and they had accepted me just as if I was a part of those past memories. It was so good to see them. Family turned out and filled the sanctuary. Cousins and more cousins; not just mine, either. My husband’s cousins made the 3 hour trip and stayed with us overnight. They have always been with us through this journey called cancer. The greatest surprise was my husband’s son flew in from Washington State and stayed with us for the last 4 days. We never expected this gift. It is a hardship on a young family to make last minute trips. He said that they were all going to come, but the little one came down with a cold at the last minute and it is too hard on babies to fly with congestion…plus, we have to be so careful with exposure to colds and viruses. We also had my husband’s oldest daughter and her little guy to make the two hour drive. It isn’t easy because she is 7 months pregnant with another little guy who will bear my husband’s name. We had time before the ceremony to play dinosaurs and watch Jurassic Park at least twice before we had to go down to the church for a quick run threw…. There were wonderful faces in the audience. Each face brought with it memories of the years gone by. Neighbors from our old neighborhood, friends from our business days, and of couse, family. Each heart was there pledging support not for what has already been lived, but love and support for that moment and for the difficult days ahead. I saw in their faces that no matter what the outcome of the next few months, I would never be alone to bear this time in my life. My husband will never pass into eternity without the love and support of these people. Their love filled the sanctuary and was breathed deeply into my heart completely. I can never repay them. Their love is unmerited and it it the embodiment of “Grace”. Most everyone stayed for the reception and everything was so beautiful. For the life of me, I don’t understand how the standard of today’s wedding is so costly. For a little of nothing, the surroundings were “simply” beautiful. My cousin’s had pulled off a wonderful dinner that fed everyone fully and most everyone stayed…and stayed….and stayed….Four hours later, everyone was still laughing and talking…..the warmth in the room was not supplied by any climate control, just the warmth and love of open hearts. The final moments were full of pictures…pictures of all of the cousins and the few aunts and uncles that are left in the family….The family has aged and the number of aunts and uncles are fewer. Don’t let that fool anyone, there still is a large number of us. I have over 30 first cousins on just one side of the family….and my husband has the same. Within these family members, there is extraordinary talent. I have four cousins that sang the song with which I walked down the aisle. Their voices were the strans of strength that helped me place one foot in front of the other. The other strength was my son’s arms. He made such a difficult sacrifice. He was in the midst of a terrible migraine type headache. He lives in such awlful pain on a daily basis and, of course, the head pain was at its worst on that evening. But, as a true Marine, which he is one of the few and the proud, he pushed himself to be there for his mother.I would never expect him to do what he did. He could have called and said that it was too bad of a headache, but he didn’t. It made me hurt to see the pain in his eyes….but he would not let me down. 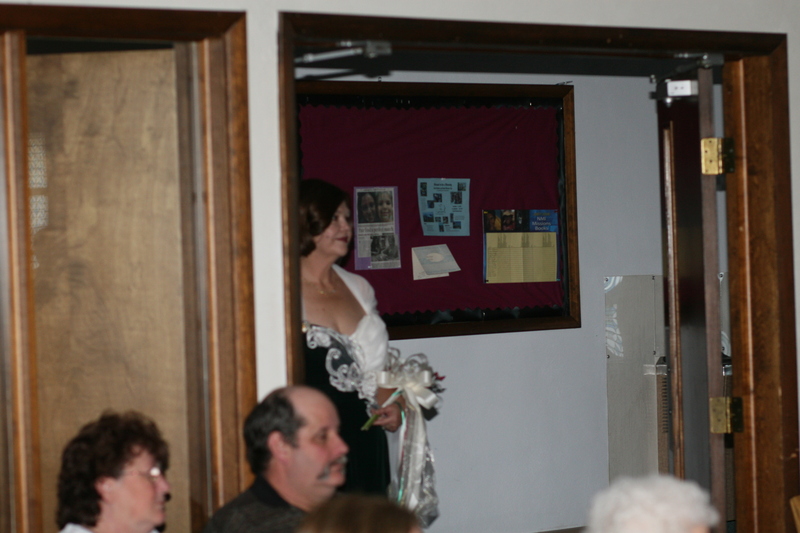 He knew how hard it was for me to walk down the aisle and I made it….with his help. It was a fairy tale moment, a life time memory and a fitting tribute to my husband and our life together. There are no words to convey the emotions of the event. There is just a smile that is still on our faces as the days continue on toward the sunset of our journey…. I won’t be able to write for a day or two. We have family coming in from out of town and our home is so small; I have so much to do before tomorrow comes. I am getting a little nervous…I just can’t get accustomed to the idea that I am having a Wedding/Renewal ceremony tomorrow!!! It is our day and I am so thrilled that my husband is feeling so much better after receiving the Vit C and Vit B-12…he is rejuvenated!!! I will have to write a post regarding the use of high dose Vit C for cancer and its benefits especially for quality of life. This is truly amazing to watch him go from planning his funeral this past Sunday to see him and the energy he has now. Remarkable. My husband is so excited but I am having a terrible time with “stage fright”. When it comes to the thought of walking down that aisle, I break out in a cold sweat. That is why I have been so reluctant to have a Wedding/Renewal all of these years. I seem to go blank when it comes to walking down the aisle. I have absolutely no memory of my first wedding. If it were not for the fact that someone took pictures of the the first Wedding to my ex husband, I would have sworn that I was never married to the man. I have no memory of anything after decorating for the reception on the day of the first wedding…has to be something with that aisle; it isn’t rational at all. I have sung and performed musical theater in front of hundreds of people and I don’t have a problem, but having me walk down the aisle in a wedding and I panic….strange, but I am going to walk down that aisle and I am probably going to cry, but my eyes will be fixed upon my husband waiting for me down that aisle ready to take his arm and declare our love before God and all of our friends and family…. I hope that I can make him proud of me. I hope that the stress of the present doesn’t show so much on my face. I know that I have aged a lot since the beginning of this journey called “Cancer”. That is why I want the ceremony to be in candlelight. Candlelight helps to soften the blow. This sounds so odd for me to be thinking this way….I usually am not a vain or “foo foo” kind of woman, but I want to look as good as I can for him. I want to see myself in his eyes. He has this gaze that always makes me melt. Some call it charm, I call it irresistible. More than that, I want to feel the presence of our Lord in the sanctuary. I want to feel God’s blessing on our lives and for our future. No matter what it holds…life, death and everything in between. This is a beginning, an ending an Alpha and Omega….This is such a special moment in my life that I want to feel and hear, not only the words of our vows, but I want to feel the two greatest loves of my life, Jesus, the Lover of my soul, and my husband, my soul mate. There are no words that can express my gratitude for all of those who have planned and worked so hard to give us something beautiful and special. It goes beyond my comprehension as to the outpouring of love that has been expressed through the work of these people. They are not strangers to us. They are old friends, cousins, neighbors. They are the wind that is beneath us. They are most times unseen and they never desire to have repayment or mention. Such selfless love. We are truly blessed. Our prayer is the one that Abraham prayed in Genesis when he asked the Lord to bless those who blessed him….that is our hearts desire. I hope that there will be a way for us to do something for them in the days ahead….How humbled and amazed am I…. I wanted to share the years, so I posted pictures. We don’t have many when we were young and in our teens. 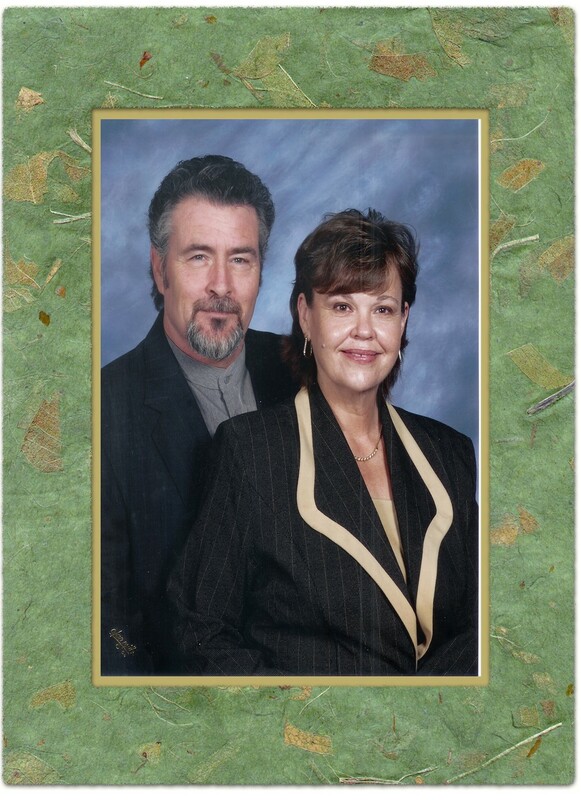 My husband’s second, mentally ill wife burned his pictures as well as many of his belongings …I found this picture at his parents house and asked for it. It shows the car that he had when we began dating. In 1970, the car was almost 20 years old. My husband has always admired classic beauty. I was so upset with him when he showed up to take me out in his father’s Buick. He thought that the Buick was better than his Ford, so he asked to borrow the car. I really loved the old Ford. I almost told him to take me to his house and get the Ford, but I was a little shy at first. The next picture was taken at a reception for one of our employees’ wedding. 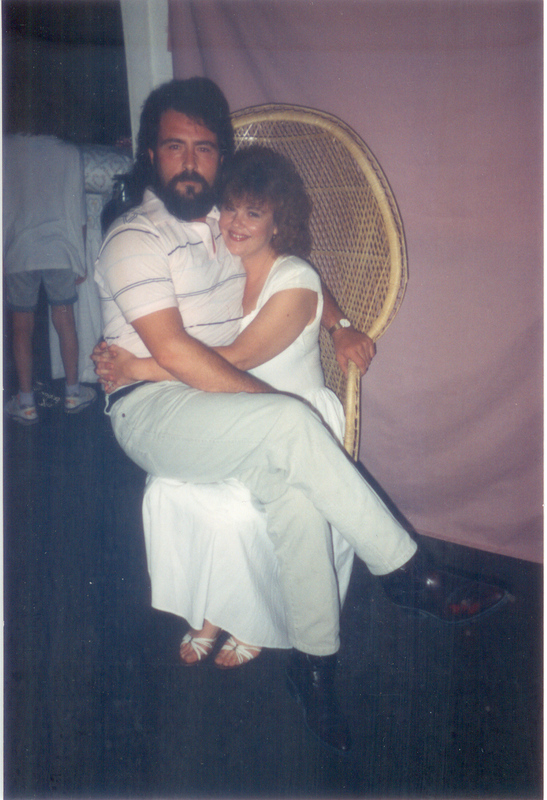 To marry him, I told him that I had to play him like landing a bit fish so in this picture he said that hold him on my lap…. The New Year’s Eve picture was taken at a friend’s party. I don’t think that we look too bad for being in our mid forties….He is so handsome. The last picture was taken for the church’s directory. It was before he lost his hair from the last round of chemo. His hair grew back thicker and more curly than before. Before we got it cut for the Renewal ceremony, he could have had a great ” ‘Fro”….You can tell that our clothes are a little big on us. He lost almost forty pounds after his surgery. Over 25 pounds were tumors. I lost over 30 pounds in the month that he was in the hospital recovering from the surgery. I do not recommend that kind of weight loss diet…. We started out dating in his 1951 Ford. The summer after we were married in the Winter…. I hope to add pictures of our Wedding/Renewal to this display…. When did I fall in love with my husband.? I can’t really say when because I have always been in love with him. 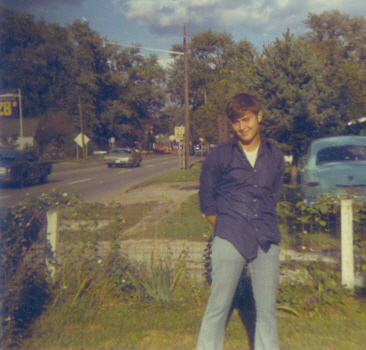 From the first time we were sledding down Madden Hill and the cold and wind was whistling through my coat to the first “official” date (He asked my father’s permission to take me for a coke after church) when he sung Mr. Bo Jangles to me, I was in love with this handsome 19 year old boy from Chicago. I saw him every day after school because he worked for my father. (It wasn’t easy to get a date when every guy wondered if dating me would end up meaning their job if they got out of line). He would make a “mistake” on his time card so that I would have to walk down to the Mill and ask him what time he left work on Tuesday or something like that. I wasn’t aware that he had already pre arranged everything with my sister. She was in on all of his “mistakes”. I remember her telling me that she wouldn’t mind if he would be her brother in law. *smile* It only took 20 something years for that to come true. I loved everything about him. I loved his voice. I loved his mannerisms. I loved that we sang and harmonized so well together. I loved that he was as comfortable in a suit as he was in jeans and a tee shirt. I loved the whole package. I knew that he had feelings for me. I could see it in his eyes and that old song that said “….its in his kiss…” I was hoping that he felt the same thing as I did, but I wasn’t about to tell him. My mother was old fashioned and she said to never tell a boy how you felt. You let him tell you. So, I did but he never said those words. Someone told him that he wasn’t “good enough” for me and he didn’t call anymore. …..I was devastated. It was the memory of him that I took with me into my first marriage. I told my first husband on our first date that I loved another man and that I didn’t know if I could ever love him. Why he didn’t run, I don’t know. Soon after I began dating my ex husband, I learned that the love of my life was marrying some one else. Within 30 days of our last date, he was engaged to another. I was devastated and I thought that I had nothing better to do than get married to someone who acted like they loved me. I knew that I didn’t feel the same, but that didn’t matter. There was a song out that said that if you can’t be with the one that you loved, then love the one you are with and foolishly, I did. Within a year of meeting my ex husband, I was married. 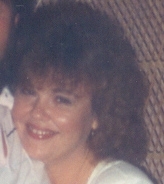 The next month after getting married, I began nurses training and 18 months later at the age of 21, I became a mother. Life took off. I was married, a mother and working part time as a staff nurse….I had replicated the life that was expected of me and I was totally miserable. The only bright spot in my life was my son. My beautiful son was the only good that came out of 18 years of my first marriage. Eighteen years is a long time to be unhappy and without hope. Early on, the marriage turned loveless and at times violent. When things would become violent and I had to recover from being beaten, I would see the face and hear, “Mr. Bo Jangles” as he once sang it to me. I found safety in those memories but I never thought that the day would come when I would be with him. He with me and I with him. I loved him completely and I tried to stop loving him so that I could be true to the one that I was with. As long as I was hurting physically and emotionally, he was never far from my heart, my mind or my thoughts. We left there to get a cup of coffee and to catch up on how life was over the years. I didn’t hear from him for months after that. I thought that he was lost to me again, then one evening months later, there was a voice message and he was coming to town…. For the losses that I suffered then ( My brother was killed, nine months later my mother died from cancer, 6 weeks after my mother’s funeral, I was served with divorce papers, three months after that, my grandmother, my mother’s mother died ) he was a comfort. He has been a comfort to me from that time to this….He is still the safe place to where I run for safety. For the past week, I have been struggling with a concept that I see in my life and it seems to be in so many areas that are important to me. I wish that I knew how to formulate into words what has been “eating” at me, but I am still having trouble. It is the idea that our perceptions are reality. I have my perceptions. I write about them on this blog because I find that everyone has their own perception of what it is like to be where my husband and I are in this journey. As a parent, your perception of an insident may be that it was ”’cute” when your child behaved in a particular way. It was totally different as your child relates to you the same insident. I remember something like this between my dad and my brother. My dad was changing a flat tire on the old Model T or A, I can’t remember which. My brother was always in my dad’s shadow and at 4 years old, he wanted to “help”. My dad, being the type of personality that he was, allowed his young son to tighten bolts on the car wheel. For whatever reason, my dad failed to go behind my brother and make sure that the wheel was tightened. So as they went down the road, the wheel came off and rolled down the road. My dad had a terrible temper and proceeded to “whip” my brother until he wet himself. (Today, the spankings and whippings that we all received would have resulted in my dad being arrested for child abuse. That was then. ) My dad put the wheel back onto the car and that was that. When my dad told the story, he was chuckling and thought that it was a funny story, but I had heard this story before from my brother. He didn’t find it funny at all. In fact, it was a major reason why my brother was afraid of my dad and my grandfather most of his life. Same story, different perspective. Today, we allow our perceptions to determine our reality and we make moral judgemnts based on our perceptions. It isn’t the perception that is so troubling as it is judgement that is passed upon your perception. I experienced this kind of thing in regards to our wedding celebration. I made a decision based on my perception. Of course, our perceptions are formulated from the fact that cancer takes center stage in our life. It is the cause of our daily events and it is the major reality that we deal with. I felt so bad when I didn’t realize that a decision I made regarding the Wedding hurt someone that I love very much. It hurt them and I felt like that the only thing to make it right was to cancel our celebration. It was a decision that my husband and I came to unanimously and at the same time. We stopped everything in its tract. I realized that I had a terrible fear that if I offended those that I depend on, they may not be there when I need them the most. I walk on egg shells because of this fear and frankly, this fear takes away my individuality as a person. I hate being that dependent, but I am in a vulnerable situation and the fear of the unknown has great influence on me. I live in such terrible terror and I am so tired of it. I have to find a way of living outside of this fear and I have to understand that the perception of others cannot influence what I know to be true. With much encouragement, we have set the date of our celebration for February 2,2008. I hope that we can have this celebration of our love and more than that, of my husband’s life. He is not doing very well right now. He is tired and he sleeps alot now…He is becoming a shadow of the man that he was and it hurts to see this….that is the world of my perception and it is my reality. All of this reminds me of my parents 50th Wedding Anniversary. We did not know that my mother was so ill. She was determined to have this celebration but the night of the celebration, she went to bed an never got up. I received a call at work the next day and my mother was taken to the hospital and then tranferred up to IU Medical Center. She was diagnosed with late stage multiple melanoma. They gave her two years to live and they were right. There were two things that enabled her to hold on. The celebration was one and the birth of my nieces second child was the next. Two days after the birth of her great grandson, my mom left this world. It is a testiment to her will. She wasn’t leaving until she saw that baby’s face. In the midst of this joy, there is fear…I am so tired of living in the fear of the unknown, the fear of perception, the fear of his dying and most of all the fear of being alone…. Will I ever break out of the fears that are in these shadows and live again?…I wish that I knew…. I want to thank Roads at “Price of Love” and the Merry Widows site for their encouragement….I appreciate your help as I walk this journey. With your kindness, I know that whatever comes, I am not alone…..and I won’t lose heart. Fifteen years, what a Milestone!!! Where did all of those days go? It seems like yesterday that we were sitting around my dining room table sifting through a mountain of support payment receipts. His second ex wife had served him with the papers that she was taking him to court for back support and more money. As the afternoon was being consumed by the gathering of proof that he was not behind in his support, I was being consumed with anger. Why was I doing this? Why was I helping him prove anything? A few months prior to this sorting of papers, the subject of getting married became a topic of conversation. At that time, he informed me that he felt like he had been married all of his life and that we didn’t need to be married. He said that I was stuck with him. As I processed all of that, I kept my mouth shut. I decided that if he was not ready for a commitment, then I was not about to push him into it. A man who is trapped, pushed, beguiled, ultimated or intimidated into marriage is like teaching a pig to sing. It sounds bad and makes the pig mad. So, I was not about to do anything close to pushing him at that time…didn’t mean that I didn’t want to be married. On that Saturday afternoon before the court date on Monday, we were being swallowed alive by his lack of record keeping, and I was becoming very frustrated. As he saw me head out the door for a walk (when I am extremely frustrated or angry, I walk) he knew that I was really upset. When I returned, he inquired as to what it was that I was so upset over. I informed him that I did not want to walk into any courtroom and hear myself referred to as an “girlfriend”. I informed him that I was too old to be anybody’s girlfriend; my mother did not raise me to be anybody’s mistress or girlfriend and I was not stuck with him because I was not married to him!!! I turned to go to our bedroom and he followed. He looked like I had just shot him between the eyes. He asked me if I wanted to have a big wedding or what did I want to do. (I guess when you think about it, I did push him into it…*smile*.) I told him that I did not to want to walk down another aisle. I had absolutely no memory of my first wedding from the time I began walking down the aisle and I did not want to do that again. He asked if I had ever been to Jellico Tennessee. I hadn’t and he said that it was a pretty little mountain town and he thought it would be a nice place in which to get married.In the next 24 hours, he was arranging a trip to Jellico Tennessee. Because I didn’t want to go through all of the hundred and one questions that I knew would be coming, we needed a reason to be going out of town. I thought that a trip to find raw material for the company would be acceptable.It was true, we needed another supplier for the natural, raw material we used in manufacturing. It would not be a ruse. We would just get married as well as find another supplier. He was right about the town. Jellico sat on top of a mountain ridge. As you come down the interstate highway, it looked like a winter picture postcard. There was a dusting of snow on the rooftops of the buildings and the town was laid out around a town square. It was very “Norman Rockwell”. Those days are so long gone. So is the money, the business, the house and cars. Every material possession that I once had is gone, gone, gone and I rarely think about them. In light of cancer, all of those great and important concerns melted away like the snow on that mountain. I smile when I think about those who shook their heads and wondered what I was thinking. At that time, many accused my beloved of being a “gold digger”. We had to endure those days that were full of the gossip about the “Biker and the Business Woman”. How foolish of all those believed that he was taking advantage of me. They could not have known that our hearts knew each other fully for years before we ever married. Our hearts were made from the same mold. Few people who knew him ever saw the man that I knew. They never knew him as the artist with his painting, the musician who played his bass violin in orchestra. And I was the vocalist who sang at weddings and funeral, musicals and theater. I shared his love of classical music and art… Most people never knew those things about us, but we knew. He found the hidden me, the one that no one knew existed….he found and knew that woman. Like the words of a Dan Fogelberg song, “There is a song in the heart of a woman that only the truest of loves can release….set it free, oh set it free….” It was my husband who finally released that sweet music that was hidden so deeply within me…Only he could find it, only he could hear it, and only he could set it free in the shadow of the mountain in a snow covered town called Jellico…. It is fitting that Dan Fogelberg be in this posting. For those who are unaware, this wonderful man, artist, and remarkable talent died of prostate cancer in December 2007. He was 56, one year older than my beloved. 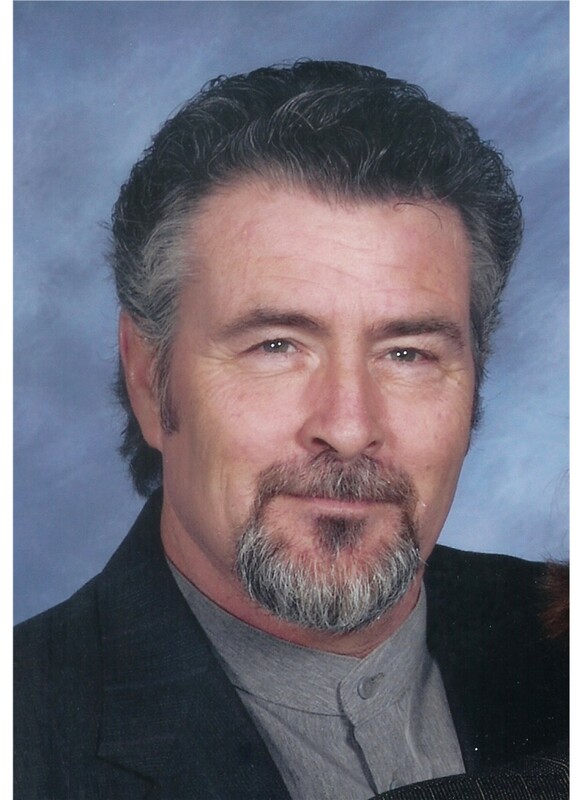 May He Rest in the Arms of God’s and May His Wife Find Comfort in God’s Love…. In the Midst of the Shadows, There is Joy!!! In the midst of the pain and heartache of cancer, there is Joy!!! Just a quick update. I received a call from my cousin asking permission to provide a Wedding Dinner/Reception following the Wedding/Renewal ceremony!!! What a surprise and a blessing!!! There are more cousins and they are providing the music, photography and decorating. This is totally unexpected and overwhelming. In the midst of the pain and heartache of cancer, there is this unexpected “gift” of joy. I am overwhelmed with their love and generosity. They seems to instinctively know that this is more than a renewal of vows and celebration. They understand that it is a wonderful memory that they are wanting to share in for me and my husband. This is a beautiful expression of love for us and I don’t know what to do or what to say that can express my gratitude. I don’t know what to say other than “the Lord works in mysterious ways” and I am truly humbled by all of this…. My Beloved is excited and he is beaming when he talks about this Wedding. I am ashamed to say that I did not realize how much this meant to him. If I had known, I would not have resisted so and we would have done this earlier. But, I have to trust that this is the right time and the right place. I am just speechless. WE ARE HAVING A WEDDING!!! How Marvelous!!! Tears filled my Beloved’s eyes. When I asked what was on his mind, he couldn’t speak. We had been talking about our anniversary when the tears came. For the longest time, he couldn’t get control enough to say anything, so I turned to the computer and read to him my posting, “In the Shadows, We Are One”. When I finished, he looked at me and said that everything that he was thinking was said in my writing. It was then I looked at him and asked if he wanted to get married. He smiled through his tears and his face beamed as he shook his head, “Yes!”. Talk about role reversals! 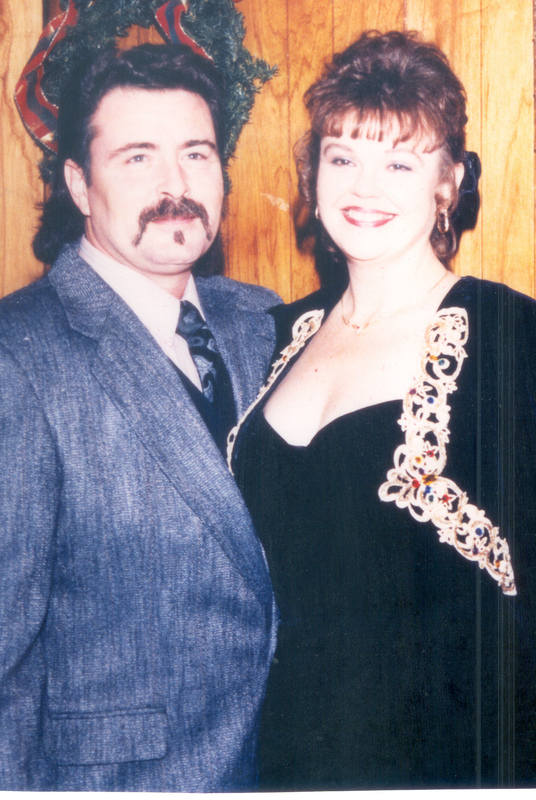 Fifteen years ago, he and I “ran off” and got married in a little mountain town called Jellico, Tennessee. In the snow covered village,we stopped at the Christian church on the town square. Once inside, we asked the secretary if the pastor was in and that we wanted to get married. She replied that the pastor was out to lunch and that it was his policy to not conduct a marriage until the couple had completed a minimum of three counseling sessions. That wasn’t going to work because we were combining a business trip with getting married and we had to finish our business before we went home. The secretary said that there was a Justice of the Peace over at the bank and we could see if he had the time to marry us. Off we went. It was one of those old banks with marble counters and thick iron bars in front of the tellers. I had to smile at the setting. So many thought that my Beloved was marrying me “for the money” (*smile* That was the gossip around my home town because of the family business in which I was part owner) and here we were going to be married in a bank. How ironic! The Justice of the Peace was eating his lunch at his desk. When we asked to speak to him and told him of our desire, he escorted us back to the vault, had a secretary be our witness and in the next 15 minutes, we were man and wife. We left town after having a bite to eat at a small restaurant on the courthouse square, then we were off to complete our business trip. Before getting back home, he and I decided to keep everyone guessing and took bets on how long we could keep the marriage a secret…If I remember right, I won the bet. It was less than 24 hours before he called his parents. I then called my son, sister and father. So, it looks like we are going to have a wedding. We have no money to spend on the trappings of a wedding. I have a very beautiful dress that I wore at my son’s wedding, so I am going to wear that….as for every other detail, it remains to be worked out. We decided that we couldn’t afford a reception, so we are hoping people will not rush out the door. My husband made all of the arrangements with the local pastor. We are going to be married in my home church which is where he and I met. His father was the pastor there when I was 17. It was in the sanctuary where we saw each other for the first time….How fitting. I think that will be a true statement. This gathering may be what will be done in place of a funeral. Here, in the lengthening shadows of life’s ending, we are declaring a never failing love that will be with us for all of our remaining days together and for all eternity…. For a brief moment, as I looked at him, he wasn’t ravaged by this disease. He was the drop dead gorgeous young man that I fell in love with and I was that tenderly innocent 17 year old young woman dreaming of a life with him….it is never too late for love. Fifteen years is just not enough….